This recipe round-up is a duet: we’ve included every wild foods recipe from our blog, plus we’ve added recipes from some of our favorite foraging foodies. 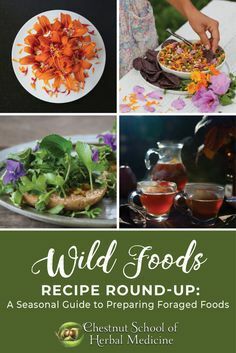 There are bushels of fantastic wild foods recipes out there (both in cookbooks and online)—this is really just a nibble to get you inspired! Please remember: foraging wild foods calls for a healthy dose of caution and a solid grasp on foraging ethics and etiquette. You can find a detailed guide to all of the above in our article on Sustainable and Safe Gathering Practices. This article is a featurette on recipes; not on plant ID! Some of the links may include ID information, but many will not. You’ll want to find a couple field guides relevant to your region by searching our book list. Find a local foraging and/or plant identification teacher, if possible! Remember, there are deadly poisonous plants and mushrooms out there: one wrong move could be your last. Have fun and be safe—which means being 110% sure of any plant’s identification before you sample or harvest. The spring foraging season is all about the greens! Spring presents us with a cornucopia of delectable wild greens that are both abundant and off-the-charts nutritious. This is a traditional time to integrate wild green foods and juices into meals as a way to cleanse the body after a winter of heavier foods. Depending on your region, look for fresh greens like chickweed (Stellaria media), wintercress (Cardamine spp. ), dandelion (Taraxacum officinale), daylily (Hemerocallis fulva), and stinging nettle (Urtica dioica) from January through May. 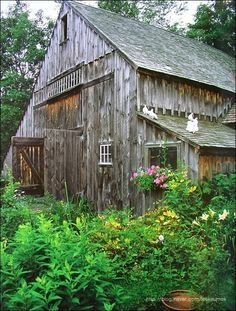 I anticipate the arrival of daylily greens every year in early spring! They’re fantastic cooked up with little more than butter, garlic, and salt. Note that some people have daylily allergies, so try a small portion the first time, prepared from cooked greens. (Raw daylily is more likely to cause a reaction.) Please read this article for ID tips as it’s easy to confuse many poisonous plants for daylily. Whirl this pesto together with whatever array of greens is handy to you, and combine them with salty, savory additions like toasted pecans, feta cheese, and tahini. Perfect for keeping in the fridge as a snack; fancy enough to serve as an appetizer course at dinner. One of my favorite breakfast dishes—a heart-friendly, wild foods/herbal version of the classic toasted bagel. 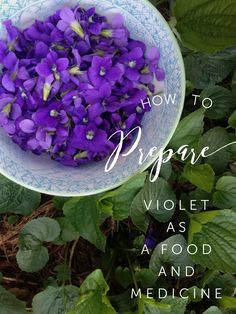 This recipe features violet (Viola spp.) leaves and flowers, plus chickweed greens—which are high in antioxidants, bioflavonoids, and soluble fiber. I love spicing up traditional dishes with wild foods flair. These dolmas, wrapped up in tender wild grape leaves, are a popular finger food at my house. I especially like to mince dried wild fruits in with more savory ingredients. Summer’s wild foods dishes are loaded with the antioxidant gifts of flowers, mushrooms, and berries. This is hands-down the most colorful season to bring foraged foods to the table. 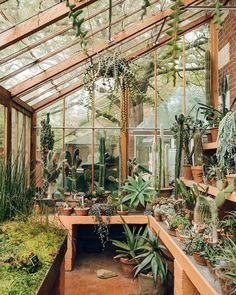 This is also a prime-time window for food and herb preservation. Dry, freeze, jam, ferment, and infuse your extra harvests—your pantry will be a wonder come winter. These appetizer-sized blooms will likely be the most beautiful dish on any table you set. Colorful, tantalizing, and savory, few will be able to resist their novelty and floral allure. Daylily petals are lightly crunchy and succulent, which pairs well with the creamy filling in this recipe. This sweet and savory salsa is high in bioflavonoids, with its array of vibrant rainbow colors. 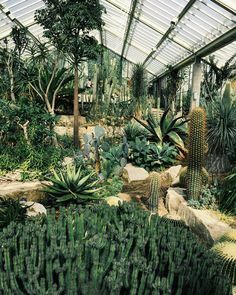 Nopales (Opuntia spp., Cactaceae) are an important medicine and traditional food in Mexico, Central America, and the Southwest. Homemade ice cream has it all: high-quality creamy sweetness that you can tweak to suit any dietary preference. I personally like using raw cow’s milk (or coconut milk) and local honey when I churn up a batch. Dina’s recipe is perfect for any of summer’s wild berries. These chocolate reishi (Ganoderma spp.) truffles are decadent AND loaded with antioxidant, adaptogenic medicine. Reishi mushrooms are gathered in the summer months, but can be dried and saved for making treats any time of the year. I try to always have this condiment on hand. The simple combination of salt, seeds, and lemon is tasty and medicinal; nettle seeds nourish the adrenals and kidneys, and can impart a boost of energy (sans caffeine!). Any pantry benefits immensely from a good jar of hot sauce. Even if you yourself do not partake, you’ll be glad you prepared a batch the next time you host Taco Tuesday or set out fixings for the burrito bar. This is an old-time classic that every child will be excited to try! I like to serve piping hot dandelion (Taraxacum officinale) fritters alongside a homemade dipping sauce à la plain yogurt blended with lemon juice, garlic, and fresh herbs. Whereas summer’s harvest is bright and bold, I find the wild foods of fall to be softer, sweeter, and more earthy. This is the season for gathering ripening tree fruits, savory nut meats, edible roots, and sun-browned seeds. Again, this is an abundant time for putting up any foraged surplus to nourish you through the frosty months of winter. A warming, lightly boozy concoction that can be made alcohol-free by substituting apple cider for brandy. This beverage blends some of fall’s tastiest fruits and herbs into a cold season tonic that will have you feeling ready for crisp nights and wood stove fires. Burdock root (Arctium lappa, A. minus) is a classic food herb whose flavor is earthy and sweet—somewhat like a carrot or parsnip. This simple recipe really lets burdock shine. Consider switching out the olive oil for other fats that have a higher smoke point (like ghee or coconut oil), and adding more root veggies to the mix—I like carrots and sweet potatoes. This creamy, raw pudding is one of my favorite fall treats—and it’s so easy to whip up. Make sure the persimmons (Diospyros virginiana) you gather have sweetened up properly; they are extremely high in mouth-puckering tannins until well and fully ripe! Stuffing is one of the most comforting foods to put on the table at special fall feasts. Add delicacies like chanterelles (Cantharellus cibarius) and pine nuts (Pinus spp. ), and you’ve got a masterpiece! If you’re willing to crack all the nuts needed for this recipe, you’re in for a treat (that’s rich in magnesium). 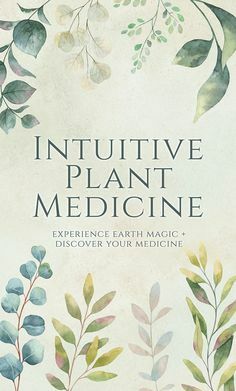 The author doesn’t specify which plant oil to use—I prefer coconut. 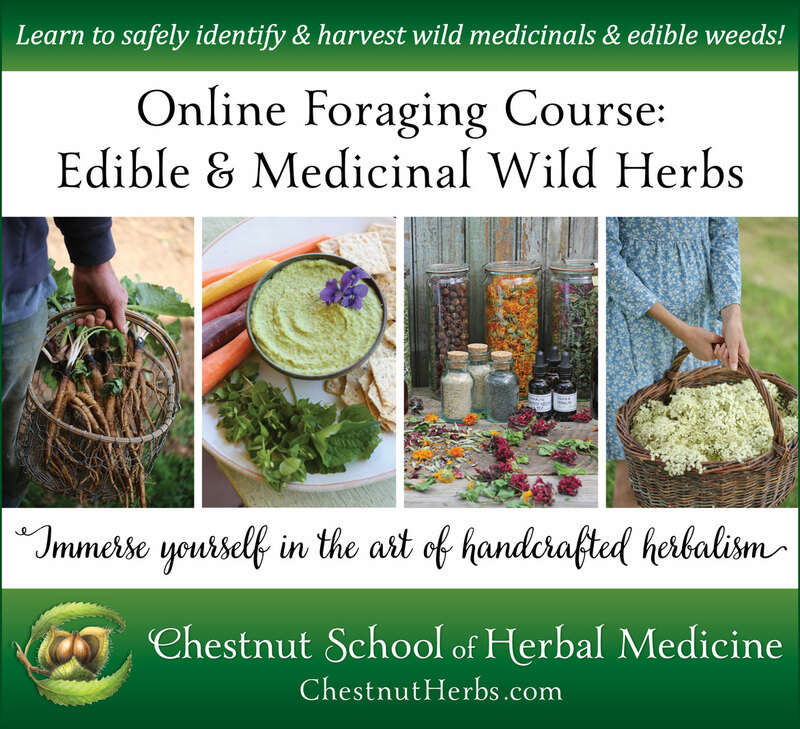 Yes, there are wild foods to forage throughout the winter months! 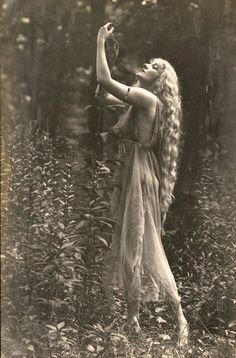 Admittedly, I tend to do more foraging in my pantry than in the hedgerows this time of year, but if you know what to look for, you’ll be impressed by the nourishment available during the cold moons. Rosehips (Rosa spp. ), edible roots, seaweeds, certain mushrooms, hardy greens, and many conifer needles can be gathered through the hard frosts of winter. Nothing calls to mind the sweetness of winter like the comforting aroma of evergreens. Conifer needles can be stirred into a decadent spread of recipes, including this vitamin C-rich syrup. Take by the spoonful, or drizzle over yogurt or cream. I consider sauerkraut to be a year-round staple, but I especially appreciate its probiotic benefits in winter when my diet tends to be heavier. Juniper “berries” (Juniperus spp.) are a traditional addition to krauts, and I love the piney flavor they impart. Gather in late fall to early winter—use fresh or dried. Another winter essential. Bone broth (or veggie broth) can be amped up with the addition of herbs. This recipe offers up plenty of possibilities, from nettles to rosehips to burdock roots. Vitamin C is strengthening to the immune system, and this recipe is loaded with it! Take care with foraged rose hips: they need to be split and de-seeded before they can be eaten as food (tiny hairs that irritate the throat surround the seeds). They can be used whole when taken as tea. Winter is soup season! Various species of oyster mushrooms (Pleurotus ostreatus) fruit throughout the year, and I’ve collected many nice harvests in the heart of winter. You can also rehydrate dried mushrooms for this recipe. Maple syrup is made from the sap of sugar maple trees (Acer saccharum). Don’t have any near you? Other trees can be tapped, including hickory (Carya spp. ), birch (Betula spp. ), walnut (Juglans spp. ), and other species of maple (Acer spp.). 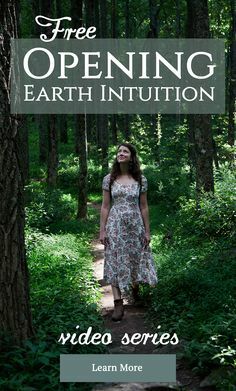 These days, she channels her botanical obsession with writing and photography in her online programs and here on her personal blog, Castanea. 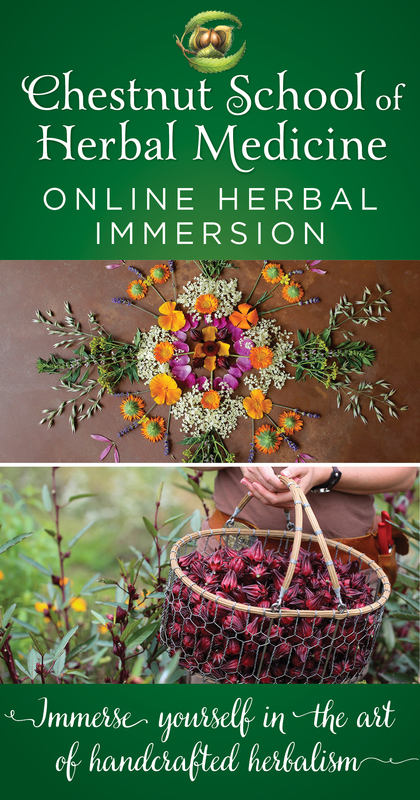 She's writing her first book: Cultivating Medicinal Herbs: Grow, Harvest, and Prepare Handcrafted Remedies from Your Home Garden. Juliet and her houseplants share a home with her family and herb books in Asheville, North Carolina. 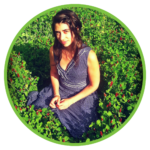 MEGHAN GEMMA is one of the Chestnut School’s primary instructors through her written lessons, and is the principal pollinator of the school’s social media community—sharing herbal and wild foods wisdom from the flowery heart of the school to an ever-wider field of herbalists, gardeners, healers, and plant lovers. 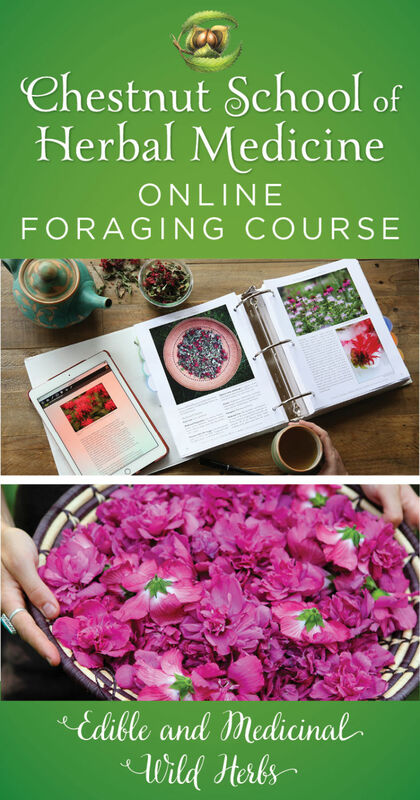 Gain confidence with our Online Foraging Course! Registration for the Foraging Course is closed until 2020. 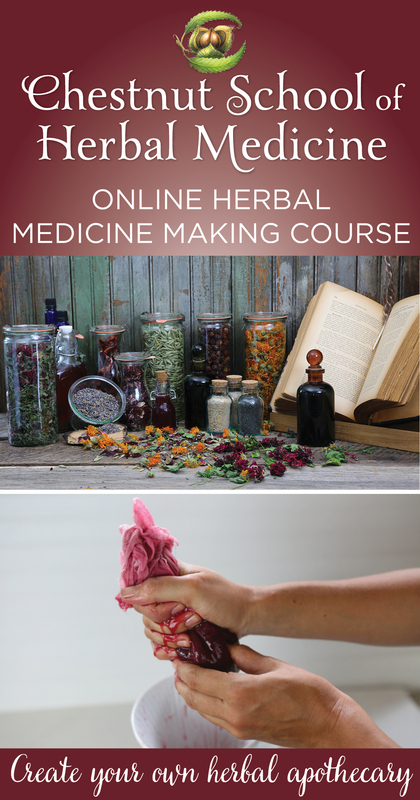 Sign up for free tutorials (videos + articles) on Foraging and herbal medicine, and to be notified when enrollment reopens. This entry was posted in Foraging For Wild Edibles and Medicinals, Wild Foods and tagged berries, black walnut, burdock, chai masala, chanterelle, compote, dandelion, daylily, edible plants, foraging, foraging for food, fritters, hawthorn, herbal bone broth, herbal medicine school, herbal schools, hot sauce, juniper, nasturtium, nettles, nopales, online herbalist classes, oyster mushroom, pâté, persimmon, Recipe Round-Up, reishi, rose hip, salsa, sauerkraut, seasonal foraging, sumac, syrup, udon, wild foods, wild grape leaf, wild greens, wild pesto. Bookmark the permalink. I want to kidnap Fern and Francine Hedgeworthy of Thistlebottom Dell! So cute, my grand-urchins (cough, blush, and myself) would love them.